Victoria Gault is an Interflora florist and gift shop based in Queens Arcade in Belfast City centre.Here at Victoria Gault, we are inspired by the beauty that surrounds us. Art, fashion, the countryside, and our love for flowers and all things floral serve as inspiration for our distinctly luxurious bouquets. Seasonal blooms are our absolute favourite and we incorporate the most luscious flowers and foliage into each one of our arrangements. Every Victoria Gault bouquet is handmade with love and beautifully packaged ensuring that each arrangement will be the freshest, most innovative gift possible for your loved ones (or yourself!). With us you can send flowers throughout the UK, local, national and worldwide. We also offer same day and 3 hour flower deliveries. We offer a range of luxury gifts that can be sent with your flowers, e.g. chocolates, champagne, balloons and teddy bears. Our flowers are perfect to make every occasion special, Birthdays, anniversaries, congratulations, new home, new baby, get well. At Victoria Gault we also offer a large range of beautiful floral tributes for funerals. To see our designs and place an order browse the sympathy and funeral section of this website or alternatively give us a call on our telephone number above to discuss more individual requirements. Wedding Flowers are our speciality and we are renowned throughout Belfast for our wedding floristry. From buttonholes and brides bouquets to church and reception flowers, we've got it covered. If you would like to book a free no obligation consultation or request a brochure, call us on the number above or fill in the form on the weddings tab. 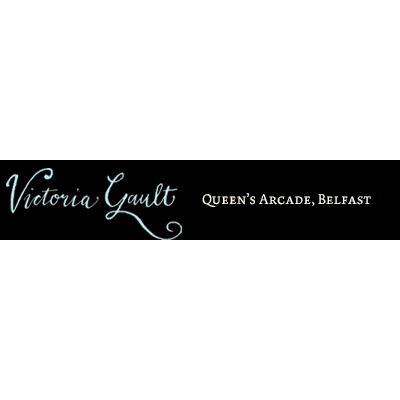 To see what we are up to and gain access to exclusive offers like us on Facebook at Victoria Gault Florist.